"'Bart Bucks' are not legal tender". Homer gets on the couch first and lies down. The rest of the family arrive and sit on him. Homer flails his arms. "Lisa's Pony" is the eighth episode in the third season of the American animated television series The Simpsons. It originally aired on the Fox network in the United States on November 7, 1991. In this episode, Homer goes drinking at Moe's Tavern instead of buying a new reed for Lisa's saxophone, resulting in her flopping at the school talent show. Desperate to win back his daughter's love, Homer gives Lisa the one thing she has always wanted: a pony. Homer struggles with two jobs to cover the cost of sheltering and feeding the pony. Lisa, upon seeing what Homer must go through to pay for the pony, decides to give it away. The episode was written by Al Jean and Mike Reiss, and directed by Carlos Baeza. Lunchlady Doris, a recurring character on The Simpsons, made her first appearance on the show in this episode. "Lisa's Pony" features cultural references to films such as The Godfather and 2001: A Space Odyssey and the comic strip Little Nemo in Slumberland. Since airing, the episode has received positive reviews from television critics. It acquired a Nielsen rating of 13.8 and was the highest-rated show on the Fox network the week it aired. Lisa is participating in a school talent show and needs a new reed for her saxophone. Her father, Homer, agrees to buy one, but decides to visit Moe's Tavern first. When he arrives at the music shop next door, it has closed for the night. Dejected, Homer goes back to Moe's to find its owner. Moe convinces the man to re-open his store. By the time Homer reaches the school with the new reed, however, Lisa has already butchered her performance. Humiliated and upset, she completely ignores Homer. While watching old family videos, Homer soon realizes how much he has neglected her either from watching too much television or having to deal with Bart's shenanigans over the years. When Homer's attempts to mend his relationship with Lisa fail, he buys her a pony with help from a loan through the Power Plant Credit Union. When Lisa wakes up one morning to find the pony (which she names Princess) lying next to her, she gallops into her parents' bedroom telling Homer she loves him. While Homer is happy, Marge is upset he ignored her warning that they could not afford the pony. To pay the costs of Princess's stabling, Homer takes a second job at the Kwik-E-Mart, which makes him more exhausted over time. Marge tells the children of what he has been doing, but that she will not make Lisa give up the pony, as she must decide that for herself. After watching Bart taking advantage of a sleep-deprived Homer at the Kwik-E-Mart, Lisa shares a heart-breaking goodbye with her pony. She then tells Homer that there is a "big dumb animal" she loves even more than Princess, that being Homer himself. Happy, Homer quits his job and even Apu admits that despite being crude and lazy, he was one of Apu's best employees. The Simpsons show runners Al Jean (left) and Mike Reiss (right) wrote the episode. "Lisa's Pony" was written by Al Jean and Mike Reiss, who were show runners of The Simpsons when the episode was produced. According to Reiss, being a show runner is a stressful job as he has to supervise all the processes the episodes go through. Jean and Reiss were working approximately 80–100 hours a week when they were assigned to write an episode on top of their regular job. "Lisa's Pony" was written between 10.00 p.m. and 1.00 a.m. every night after they had finished their 12- to 14-hour workday. They came up with idea for it while going through a list of Lisa's interests, and Jean told Reiss, "Lisa likes ponies; we [should] give her a pony." While writing down ideas for the story, they decided to explore the consequences of having a pony in a suburban house. Carlos Baeza served as animation director for the episode. The Simpsons creator Matt Groening said animating horses is "the most difficult thing to do." The animators used Eadweard Muybridge's famous animation of a horse galloping and other photo references as models for Princess. In the talent show scene, Lisa is lit up by a spotlight when she performs with her saxophone. After the episode came back from the animation studio in Korea, the staff noticed that the light was colored blue, making Lisa look like "a Smurf." The scene had to be re-animated in the United States, and the spotlight effect was reduced. The woman who sells the pony to Homer is based on actress Katharine Hepburn. Cast member Tress MacNeille provided the voice for the character. Lunchlady Doris, a recurring character on The Simpsons, made her first appearance on the show in this episode as one of the judges in the talent show. She was voiced by the show's script supervisor Doris Grau, who had a "beautiful, tobacco-cured voice" the staff thought was perfect for the role. Following Grau's death in 1995, the characters she voiced were retired out of respect, with the exception of Lunchlady Doris, who stayed on the show without speaking roles. The beginning of the episode, in which Homer has a dream of himself as an ape, is a reference to the Dawn of Man sequence from the 1968 science-fiction film 2001: A Space Odyssey. The Simpsons director David Silverman had difficulties with making the ape resemble Homer and struggled with the design for several hours. After hurting Lisa's feelings at talent show, Homer watches old home movies of him and Lisa, including one in which a young Homer is seen watching Fantasy Island on television instead of paying attention to Lisa's taking her first steps. The scene in which Lisa wakes up in her bed and discovers the pony lying next to her is a reference to a scene in the 1972 film The Godfather, in which Jack Woltz awakens to discover the severed head of his favorite horse placed in his bed. The musical chords used in the episode are the same as in the film but shortened. While driving home from the Kwik-E-Mart, Homer falls asleep behind the wheel and dreams that he is in Slumberland, drawn in the style of Winsor McCay's Little Nemo in Slumberland. The song "Golden Slumbers" by The Beatles plays during the sequence. One of the children at the talent show performs the song "My Ding-a-Ling" by Chuck Berry. According to Jean, it was a "huge difficulty" to clear the rights for the song so that it could be used on the show. John Boylan, who produced the album The Simpsons Sing the Blues, personally appealed to Berry to clear the song for them. The lyrics to "My Ding-a-Ling", with their sly tone and innuendo, caused many radio stations to ban the song. This is parodied in the episode when Principal Skinner rushes the child off the stage before he is able to finish the first line of the refrain. The man who owns the music shop Homer visits is based on actor Wally Cox. 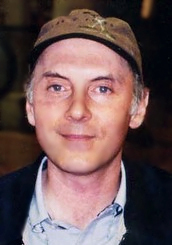 Dan Castellaneta received a Primetime Emmy Award for his performance in the episode. In its original American broadcast, "Lisa's Pony" finished 35th in the ratings for the week of November 4–10, 1991, with a Nielsen rating of 13.8, equivalent to approximately 12.7 million viewing households. It was the highest-rated show on the Fox network that week. "Lisa's Pony" was released with the episode "Treehouse of Horror II" on a VHS collection in 1999, called Best of the Simpsons. Homer's voice actor, Dan Castellaneta, received a Primetime Emmy Award for Outstanding Voice-Over Performance in 1992 for his performance in the episode. Since airing, the episode has received positive reviews from television critics. The authors of the book I Can't Believe It's a Bigger and Better Updated Unofficial Simpsons Guide, Warren Martyn and Adrian Wood, called the episode "good stuff" and praised the "nice flashbacks to Lisa as a baby." Bill Gibron of DVD Verdict said "Lisa's Pony" is a "priceless part" of the show because of its "meshing of old storylines with new experiences, combined with some of the best jokes in the series." Gibron gave the episode a perfect score of 100. Cinema Blend's Bryce Wilson called "Lisa's Pony" one of the best Lisa episodes, and added that the only words to describe it are "funny as hell." Nate Meyers of Digitally Obsessed gave the episode a 5/5 rating, praising it for its references to The Godfather and 2001: A Space Odyssey that "film buffs will find uproarious." Meyers added that Homer and Lisa's relationship is "the heart of the episode, showing Homer to be more than just a brute." The episode's reference to The Godfather was named the seventh greatest film reference in the history of the show by Total Film's Nathan Ditum. The Star-Ledger named this episode's reference to 2001: A Space Odyssey one of their favorite references to Stanley Kubrick on The Simpsons. Niel Harvey of The Roanoke Times called the episode a "classic bit of Simpsonia," and The Baltimore Sun's Kevin Valkenburg named it one of the "truly classic" The Simpsons episodes. The Guardian's David Eklid said episodes such as "Lisa's Pony" and "Stark Raving Dad" make season three "pretty much [the] best season of any television show, ever." In addition, Molly Griffin of The Observer commented that "Lisa's Pony" is one of the season three episodes that "make the show into the cultural force it is today." DVD Movie Guide's Colin Jacobson, however, gave the episode a less positive review, commenting that episodes "in which Homer has to redeem himself to others aren't a rarity, and 'Lisa's Pony' falls in the middle of that genre's pack. Homer's escapades at the Kwik-E-Mart definitely add life to the proceedings, and some of his other antics make the show good. I like 'Lisa's Pony' but don't consider it to offer a great program." According to Greg Suarez of The Digital Bits, "Lisa's Pony" is considered a fan favorite. In a list of the show's top 10 episodes, compiled by the webmaster of the fan site The Simpsons Archive and published by USA Today, this episode was listed in seventh place. Paul Cantor, a professor of English at the University of Virginia, utilized "Lisa's Pony" as an example that The Simpsons does not promote negative morals and values, which some critics have criticized the show for. ^ a b c d e f g h i j k Jean, Al (2003). The Simpsons season 3 DVD commentary for the episode "Lisa's Pony" (DVD). 20th Century Fox. ^ a b c d e f Reiss, Mike (2003). The Simpsons season 3 DVD commentary for the episode "Lisa's Pony" (DVD). 20th Century Fox. ^ Groening, Matt (2003). The Simpsons season 3 DVD commentary for the episode "Lisa's Pony" (DVD). 20th Century Fox. ^ a b c Silverman, David (2003). The Simpsons season 3 DVD commentary for the episode "Lisa's Pony" (DVD). 20th Century Fox. ^ a b "Readers point out more evidence of 'Simpsons'-Kubrick connection". The Star-Ledger. March 13, 1999. p. 43. ^ Groening, Matt (1997). Richmond, Ray; Coffman, Antonia (eds.). The Simpsons: A Complete Guide to Our Favorite Family (1st ed.). New York: HarperPerennial. p. 70. ISBN 978-0-06-095252-5. LCCN 98141857. OCLC 37796735. OL 433519M. .
^ Associated Press (November 13, 1991). "Nielsen Ratings /Nov. 4-10". Press-Telegram. p. D5. ^ Tuckman, Jeff (May 8, 1999). "Six of the 'Simpsons' most outrageous episodes now out". Daily Herald. p. 7. ^ "Primetime Emmy Awards Advanced Search". Emmys.org. Archived from the original on 2011-02-15. Retrieved 2009-02-05. ^ Martyn, Warren; Wood, Adrian (2000). "Lisa's Pony". BBC. Retrieved 2009-06-19. ^ Gibron, Bill (December 15, 2003). "The Simpsons: The Complete Third Season". DVD Verdict. Archived from the original on June 29, 2009. Retrieved 2009-06-06. ^ Wilson, Bryce (June 18, 2004). "The Simpsons: The Complete Third Season - DVD". Cinema Blend. Retrieved 2009-08-01. ^ Meyers, Nate (June 23, 2004). "The Simpsons: The Complete Third Season". Digitally Obsessed. Retrieved 2009-06-06. ^ Harvey, Niel (September 4, 2003). "'The Simpsons' Is A Consistent Slam Dunk". The Roanoke Times. p. 8. ^ Valkenburg, Kevin (May 17, 2007). "In vote for hearts, neighs have it: Mr. Ed isn't alone in speaking to us". The Baltimore Sun. ^ Eklid, David (April 29, 2008). "Notes & queries: Homer's oddities". The Guardian. ^ Jacobson, Colin (August 21, 2003). "The Simpsons: The Complete Third Season (1991)". DVD Movie Guide. Retrieved 2009-06-06. ^ Suarez, Greg (November 2, 2001). "Greg Suarez talks Simpsons with Al Jean". The Digital Bits. Archived from the original on May 11, 2008. Retrieved 2009-08-01. ^ Paakkinen, Jouni (February 6, 2003). "10 fan favorites". USA Today. Retrieved 2007-02-13. ^ Warren, James (June 16, 2000). "Professor Hits A Homer For 'The Simpsons'". Chicago Tribune. p. 3. "Lisa's Pony episode capsule". The Simpsons Archive. This page was last edited on 16 April 2019, at 08:54 (UTC).